Roland just won a Camaro! 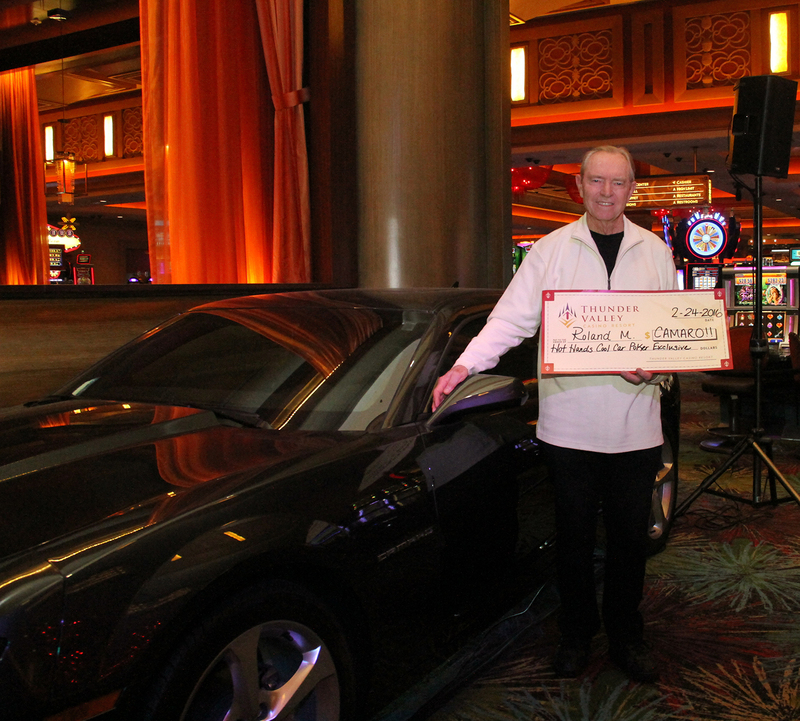 Congrats to Roland from Rocklin, CA who just won a brand new Camaro from our Hot Hands, Cool Car giveaway! 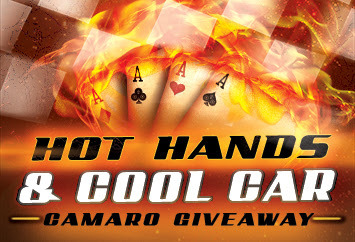 You could be one of TWO players to win a brand new Chevy Camaro - that's right, we're conducting two Grand Finale Drawings - by playing in our Poker Room to earn entries into the $85,000 Hot Hands Cool Car Giveaway. 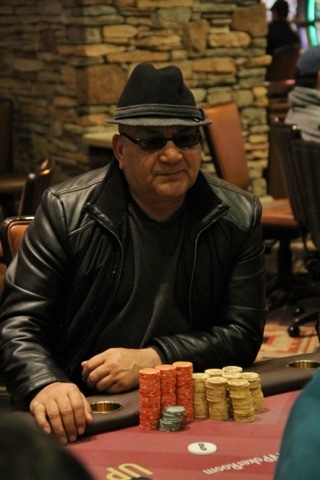 Each Wednesday through Feb. 17, weekly cash drawings take place in the Poker Room from 2:30-11:30pm, with 28 winners sharing $4,000 in an Afternoon and an Evening draw. 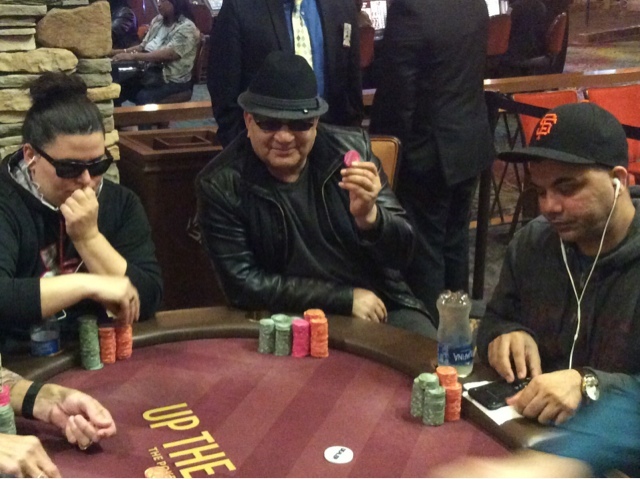 Keep playing poker to earn entries into the Grand Finale Drawings at 9pm - the first on Wednesday, Jan. 27, and the second on Wednesday, Feb. 24 - when 9 players win $500 -- and one lucky player is guaranteed to zoom home in a cool 2016 Camaro. Drawings for the car take place near Mingle bar, just across from The Poker Room. Play with your Thunder Rewards card to track your play. Earn double entries every day between Midnight - 10AM, and earn additional tickets for qualifying hands. We started 1,106 and now 9 remain. We are down to 27 in the 100k Catapult. 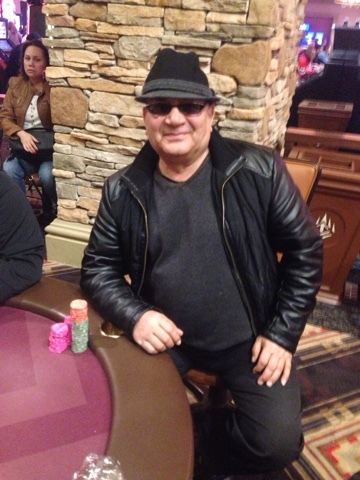 With the average stacks sitting at 323K, our current chip leader U.B. Safapour of Roseville, Ca has just over 900K. With just under one hour of play our field has lost 30 players. 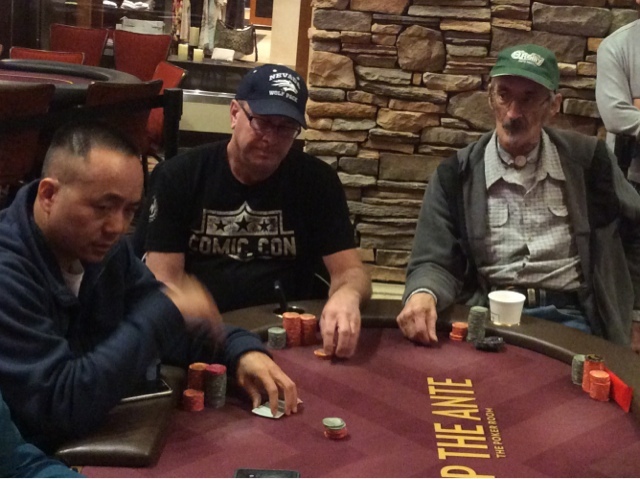 Down to 6 tables remaining. 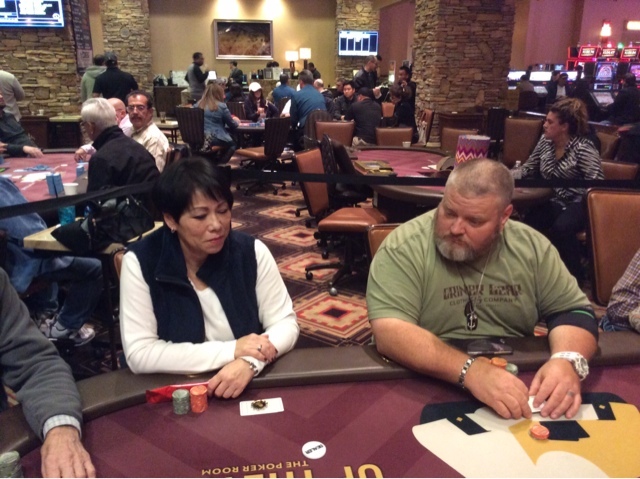 We are underway with a prize pool of $141,568.